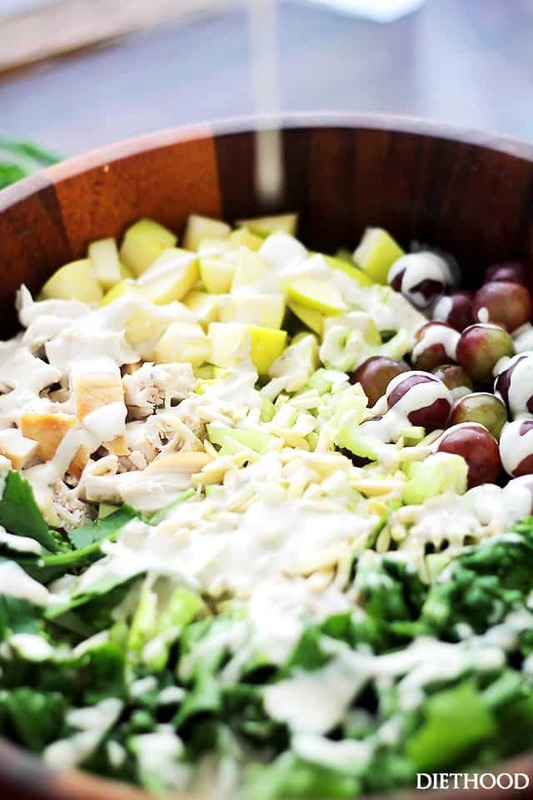 California Chicken Salad with Creamy Yogurt Dressing – This take on the classic California Chicken Salad makes for a healthier, delicious meal with grapes, celery, nuts and grilled chicken served atop a bed of romaine lettuce, all tossed in a lightened-up creamy yogurt dressing. It’s Chicken Salad TIME! It’s Lunch. It’s a snack. It’s Dinner. It’s a Picnic! Also? The only salad to prove to my Mom that fruit and chicken belong together, especially in a salad. I mean, just LOOK at that beauty! LOVE IT! HEY HEY Friends! Happy Monday! Cheers to a new week! I hope your week started off with a meeting in your manager’s office, discussing your super deserved promotion. OR! I hope you’re on a beach, getting your tan-on with a SPF 100. Sitting on the couch with the iPad in your hands? That’s also just as good! That’s what I’m doing! Chicken and grapes in a salad, be still my heart. First. Cold, firm grapes… oh, my. It’s all in the crunch. I sometimes freeze them and throw ’em in a glass of Chardonnay. My OH my! Other times, I pair them up with feta cheese and enjoy a caprese salad, Macedonian-style. Try it – it’s a.may.zing! But then, then, once upon a time (a loooong time ago…) I was introduced to a California Chicken Salad and the world stood still. It was the classic kind. The mayo-heavy one, sans lettuce, and it was kind of awesome. Even better though? Ditching the mayo. Seriously. Besides, it looks like lard and that’s enough for me to look away. I haven’t had mayo in over 10+ years. Yogurt is my BFF. If you’ve known me for five minutes, you know this to be true. You love it, too?? See! I know what you like. You know what else you might like? 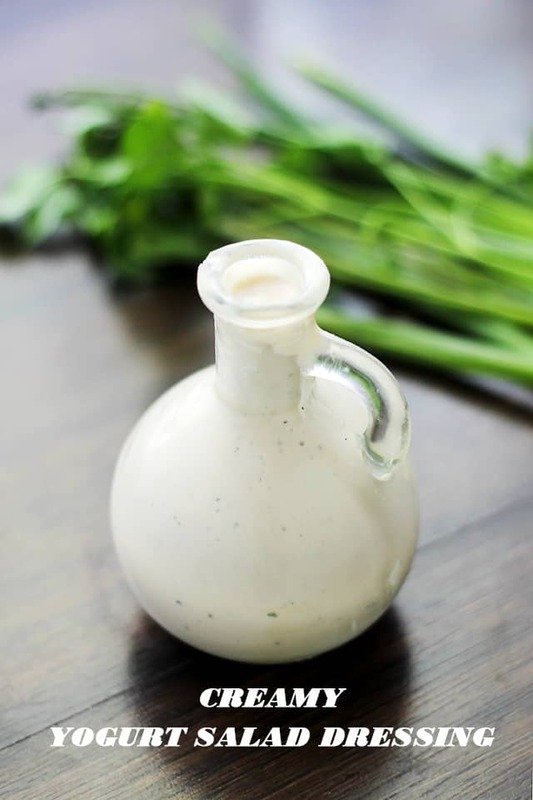 Homemade and creamy yogurt salad dressing?! YES! Grilled chicken that you didn’t have to grill/bake/cook because your rotisserie chicken leftovers are so dang good?! And cooking on Monday should be illegal? HECK YEAH! Well, then, let’s git ‘er done! 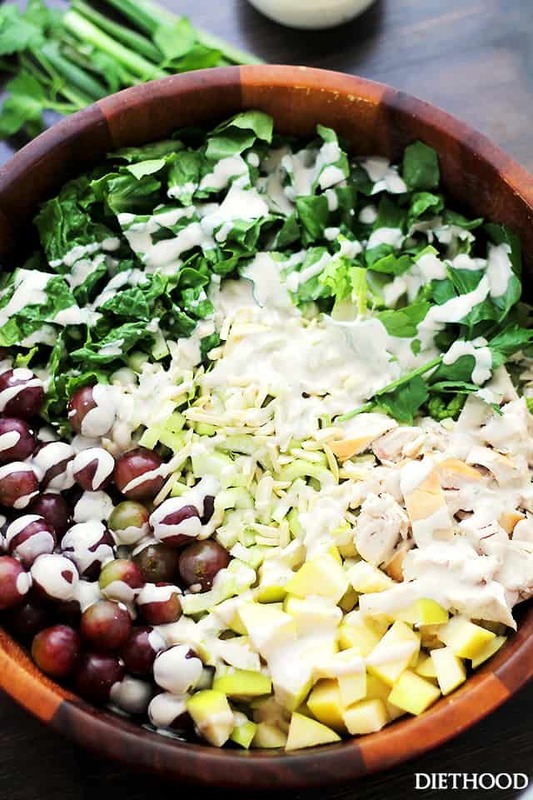 This take on the classic California Chicken Salad makes for a healthier, delicious meal with grapes, celery, nuts and grilled chicken served atop a bed of romaine lettuce, all tossed in a lightened-up creamy yogurt dressing. 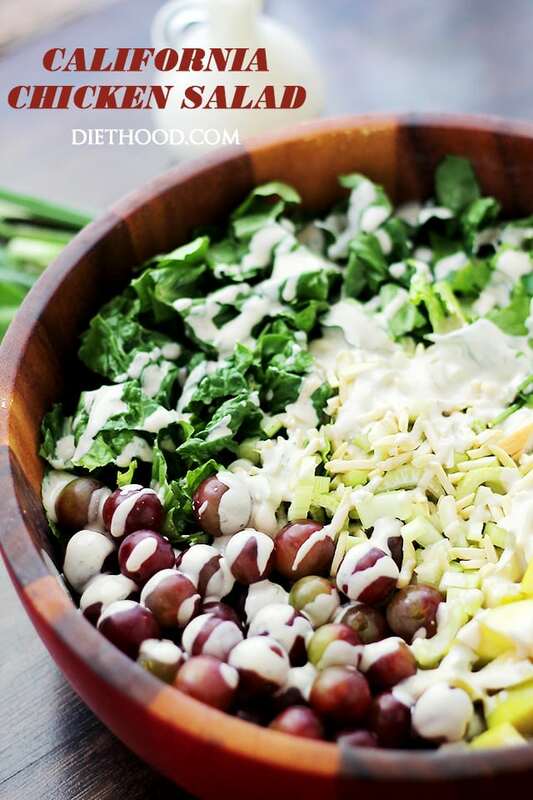 In a large salad bowl, combine lettuce, chicken, grapes, apples, celery, green onions and nuts; set aside. 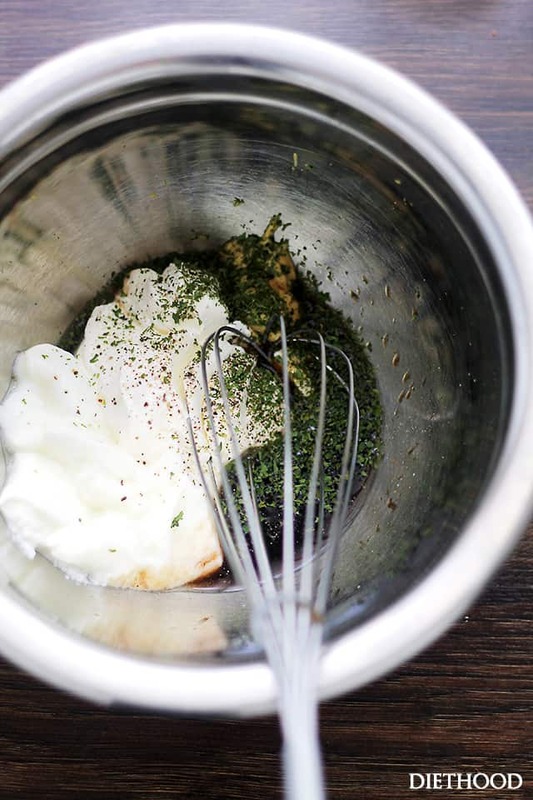 In a small mixing bowl, combine yogurt, sour cream, mustard, vinegar, parsley, salt and pepper; whisk until smooth and thoroughly combined. If dressing is too thick, add 1 to 2 tablespoons water; taste and adjust accordingly. Add salad dressing to chicken mixture. Really very yummy post, tomorrow i will prepare this recipe for my daughters. How many is this salad supposed to serve? Hi Lynn! So sorry about that – I’m using a new recipe card on the blog and for some odd reason, it’s not picking up the “servings” total that I’ve already put in. But, this should serve between 4 to 6 people. Loving this salad, but is it really supposed to be 1/4 cup balsamic? My dressing turned out very brown and not at all like your photos. Thanks! Oh grapes. How I love you!! And especially frozen in my wine glass 😉 And grapes belong in my salads all summer long! This salad looks so delicious! I love fruit in salads. Oh my goodness, this salad looks incredible! 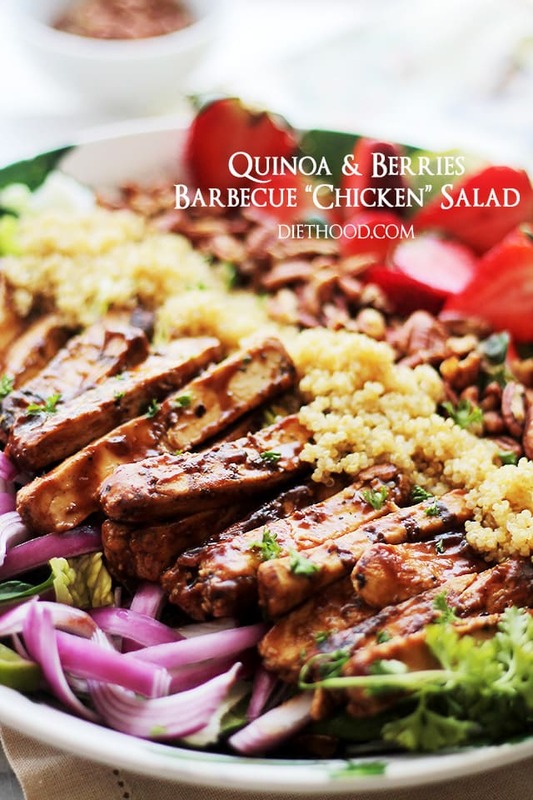 I absolutely love a good chicken salad, and this totally hits the mark! Loving this flavor combo! I only recently started trying chicken with fruit – and it’s amazingly awesome, go figure! I know my guy is going to love this salad. I wish I had some of that dressing right now! Yes yes yes yes! I want this salad in my life. I love chicken salad with yogurt…it’s my favorite! I really need to make myself some of this yogurt dressing. It looks so tasty! My parents are from California so I grew up eating classic California things like this and I love them! This salad looks so good! I love when fruit is added into savory items, this salad has my name all over it. 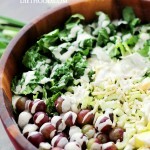 I have never had grapes in a salad before but this recipe definitely makes me want to try it! That salad looks gorgeous. I like that you ditched the mayo and opted for a yogurt dressing. Yummy. I always crave chicken salad in the summer and I love mine packed with fruit! That creamy dressing looks perfect! I freeze grapes and throw them in my Chardonnay too!! So much better than watery ice cubes. I love the mix of grapes and chicken in a salad. This is so perfect for summer – love it! Geebuz, Kate. What is with you and salads and dressings which are healthy enough to well…drink? Love this recipe like your Caesar one. Way to spark a craving. Again. Just chuck a kabob on here too. 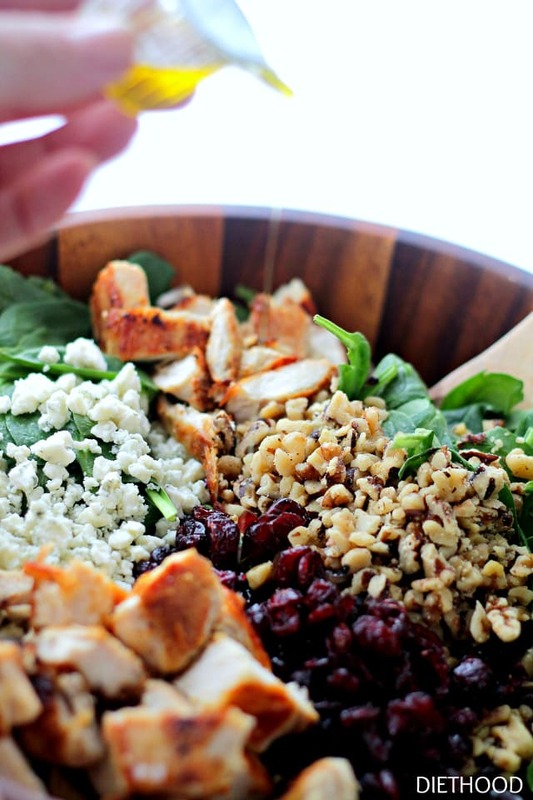 I never think to add grapes to my salads, but holy moly, does this look good! Love the dressing too! Absolutely gorgeous salad! Love the addition of the grapes, yum! This is a beautiful salad! I love the dressing, I could make this work all week long in any of salads, thank you! never seen a prettier salad. and grapes and chicken sounds actually good together. I think Mondays should become the new Sundays. Maybe then we would all look forward to them! This salad is just what I need to start the week! Pinned!